Is it Safe to Take Your Wedding Dress to the Dry Cleaners? Your wedding dress is a precious garment full of memories, so it's understandable for you to be skeptical bringing your dress to the dry cleaners. Take a look at why you can trust us for professional wedding dress cleaning. You found the perfect dress, the perfect partner, and had the perfect wedding. Congratulations! Now what do you do with your investment, we mean your gown? You preserve it. This means getting it dry cleaned and in some instances, framed or pressed. Is that safe? If you spend thousands or even hundreds on your gown, you may wonder if it's safe to take it the dry cleaners. Rest assured that it is, as long as you go to a high-quality establishment. In fact, you should have it cleaned before storing it. Any sweat or minor body oils that got on the dress will break down the fabric over time. Learn the questions to ask before you hand over your beautiful gown below. The human body emits oils. It's why museums don't let people touch things and why you can see damage in things like Buddha statues from people rubbing its belly. If our finger oils are powerful enough to break down metal over time, the fabric doesn't stand a chance. Sweat will yellow the fabric over time, along with the oils that your skin naturally produces. The two together leads to unsightly spots and discoloring. Getting your wedding gown cleaned after your ceremony stops that process in its tracks. Now that you know you need to take your wedding dress in, how do you find the right dry cleaner? You can go to your normal location and ask the following questions. 1. Do You Offer a Guarantee? If the dry cleaners have experience in cleaning wedding dresses, they'll offer a guarantee. Most of the time it's against the yellowing of fabric. They should cover any fabric yellowing for the next fifty, if not 100, years of the dress. 2. Show me the Proof! Hopefully, you'll ask nicer than this, but it's not uncommon for a high-quality establishment to have picture evidence. They've likely seen some bad stains or dirty dresses in their day, so ask if they took before and after shots. Not every establishment does this, but if you find one that does, take comfort. This means they care about their work and they're willing to put their name on it. 3. Can you Treat Different Fabrics? With the rise of technology, we're seeing different fabrics in wedding dresses than we did even ten years ago. Some locations aren't equipped to treat all types of fabric. Ask the employees if they're educated on new fabrics. Do they understand how to keep the color but get the stain out? Each fabric has its own challenges, so don't be afraid to search for that materials tag! When you have your wedding dress cleaned, it's unlikely you hang it by a hanger in your closet. You either have it boxed up to display or store it delicately. Your dry cleaners should offer storage options. Do they have a box they'll put it in for display? How will they give your dress back to you? If they don't do any preservation, take off the basic plastic cover when you get home. Instead of protecting your dress, like you'd think, the plastic can cause your dress to age faster. As an added note, never hang your wedding dress by its shoulders. Use the hanger straps inside the dress. They're sewn into a seam and are less delicate, read they can hold more weight. The average wedding dress is three pounds, so don't underestimate the damage on the shoulders over time. 6. Do You Have References? It's likely that you found your wedding dress dry cleaner through a friend. Since they directed you to this establishment, it's clear they had a good experience. However, if you're the first to get married or don't live near your friends, you need to check their work. In the internet age, we have 24/7 access to references, via online reviews. If someone's wedding dress got damaged, you'll know. People who have bad experiences are more likely to write reviews. If they do have a bad review, how did the company respond to it? If they took responsibility and made efforts to contact the person for reparations, don't write them off entirely. If they shot back with blame to the review writer, that's a red flag. You want someone that stands behind their services, not someone who'll blindly defend them. 7. Do You Have Multiple Cleaning Options? Not every dress is created equally. Not every stain is created equally. Why would one cleaning method treat everything equally? 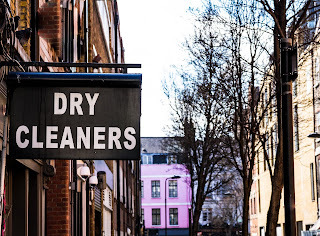 The best dry cleaners utilize multiple cleaning methods. DF-2000, Professional Wet Cleaning, Sensene, Intense, and even traditional Perchloroethylene (used responsibly) are some of the options available. Look for a professional that uses at least two cleaning options. With three or more cleaning options, almost every material, and every spot or stain can be safely cleaned. 8. Do You Have Fixed Prices? The costs of getting a wedding dress dry cleaned are higher than those of a regular dress. Why? It's more work, the fabric is more sensitive, and there are more details. Some dry cleaners charge a flat price, while others will charge on the intricacy of the dress. Both are normal. We'd even argue that charging more for more complex dresses is better. You want them to put as much TLC into your dress as they can muster. Even if you have to pay a little extra. 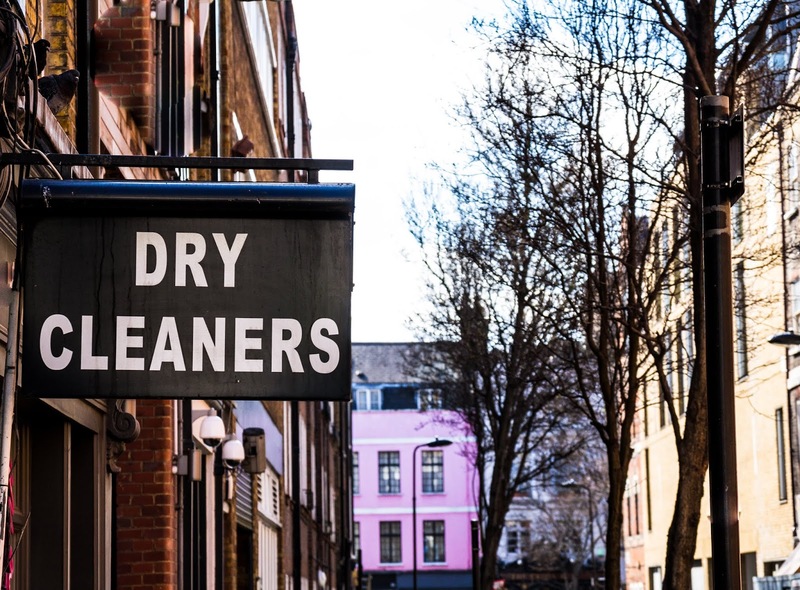 You may have to go to a few places or call a few friends before you find trustworthy dry cleaners. If you check out a place, look at the people picking up or dropping off. Are they well dressed? Do they look happy? Do they have an obvious relationship with the employees? Those are all good signs. Do your homework and read the Google reviews, then visit a trusted and highly rated business.